This stylish hip-bag completes your festival look. 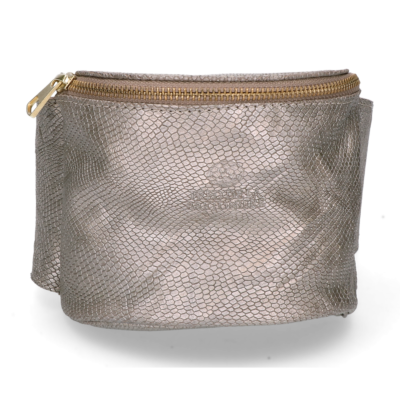 The practical design makes this bag a real must-have. The shiny printed leather provides a edgy touch. 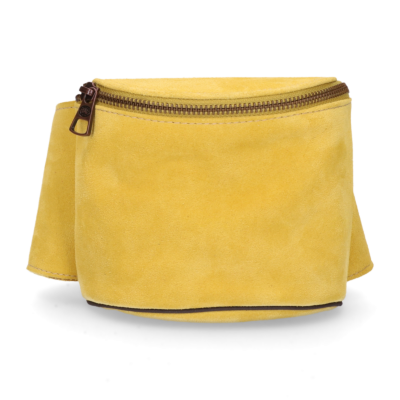 The bag measures 11 x 13.5 x 6 cm and it is available in three colors: Black, Taupe and Yellow. 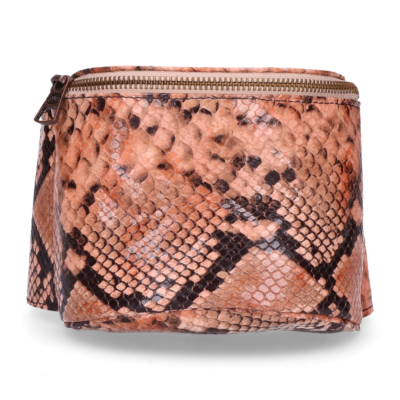 This hip bag is available in suede (200010009/200010014), smooth leather (200010011) and snake printed leather (200010015) as well.